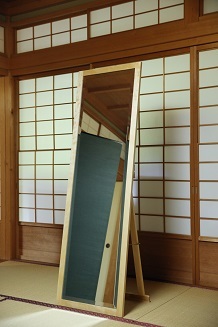 The mirror and the chairs are from “LST BOTAN”. I was very happy to see the bride and groom were actually using the furniture. 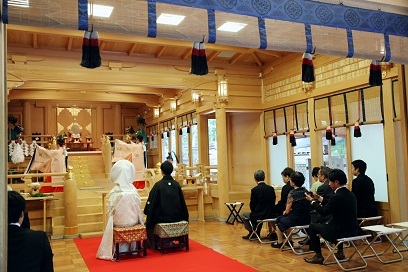 Wedding ceremony was taken place in the solemn and visionary atmosphere with dance of “Miko-san (=priestesses)”. 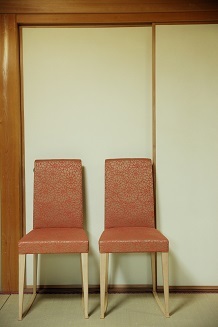 We supported a couple to get married at Kibune Shrine on 28th July. The clean fresh air and cool sounds from the stream made me feel as if I was in some mountain resort. 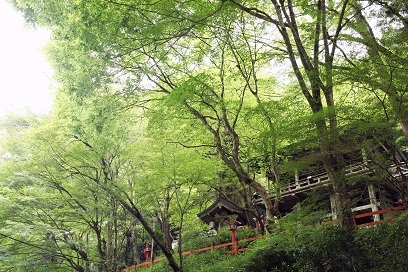 It is worth having wedding ceremony at Kibune Shrine even though it is rather distant from Kyoto station and you need to drive for a while. The weather is much cooler, usually 10℃ lower than in the center of Kyoto city. 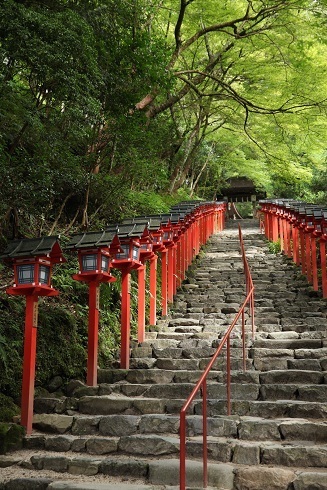 Kibune Shrine has been venerating god of water and god of “good match” from the ancient time. Surrounded by abundance of nature, you can having your wedding ceremony with feeling of the season.